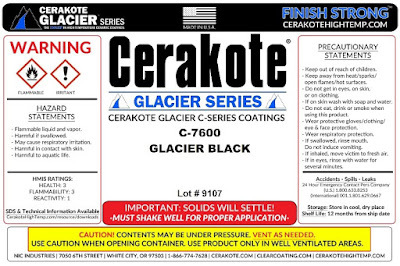 Initially, we tested our standard matte poly labels with adhesive rated down to -40 degrees. Although we had some success, we found these labels did not adhere well in production; especially going through the flash freeze alcohol bath. 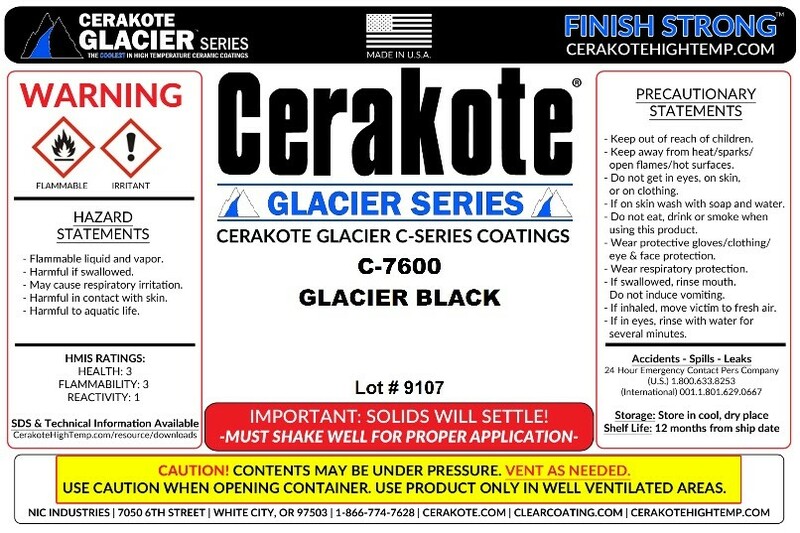 Based on these results, we created inkjet coated cryogenic labels with a service temperature range of -89 to +169 degrees F; and an application temperature down to -20F. 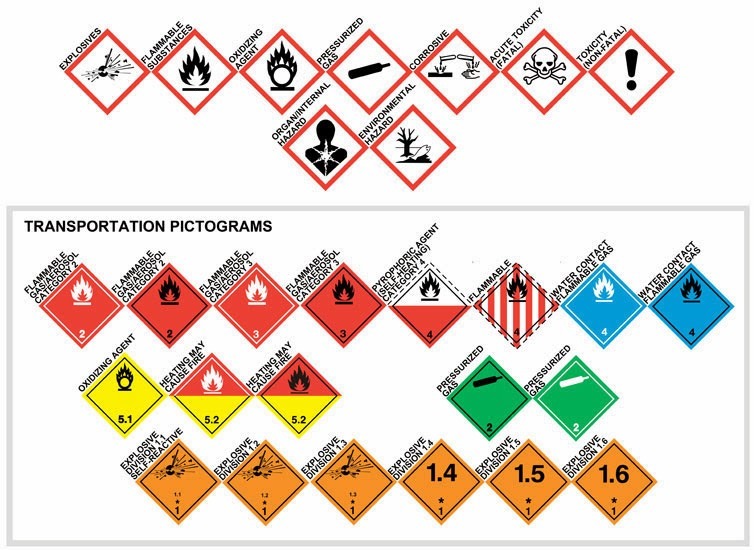 The aerospace manufacturer found these labels to work well; and put them into production. To use the C7500, we tried 2 UP labels; 2 labels side-by-side. To meet the company’s requirements, we create a new label; with 1” of liner and 1” of label to meet the minimum print width requirements of the C7500 printer. And they print and look great! 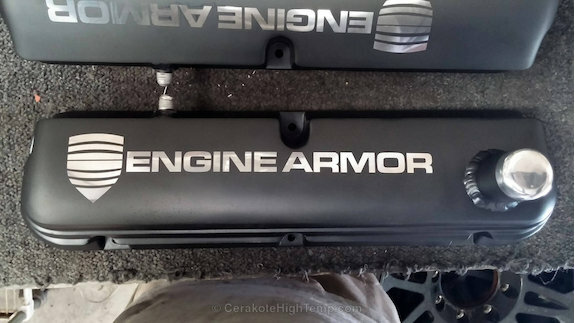 I think the print quality is especially good. See the .5" of liner on either side. Overall, it’s very satisfying to work with customers like our aerospace customer; too bad I can't use their name. I especially like customers who are willing to work together with us to find solutions to that meet all of their requirements. This is especially true when it takes a few iterations to get the final solution just right. 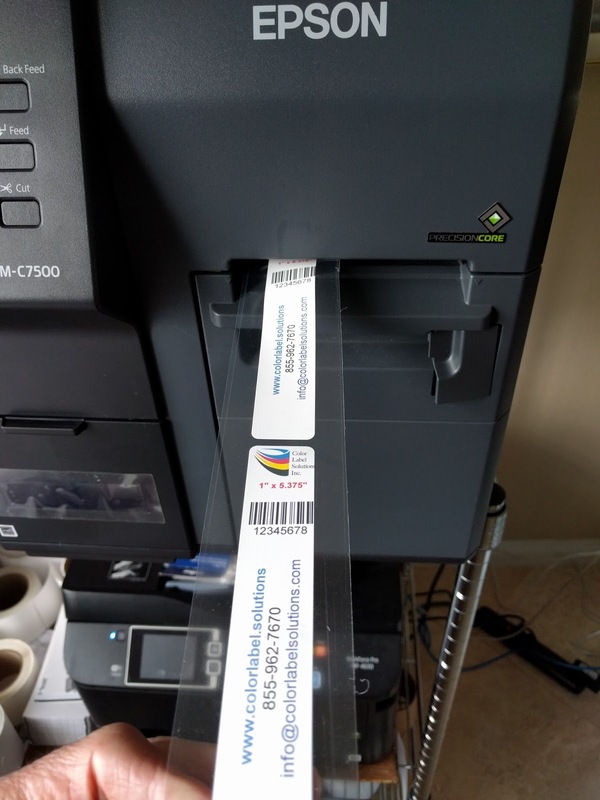 If you need cryogenic, narrow or any other type of specialty labels and tags for print on-demand color, contact us. We’ll try our best to meet your requirements as well. 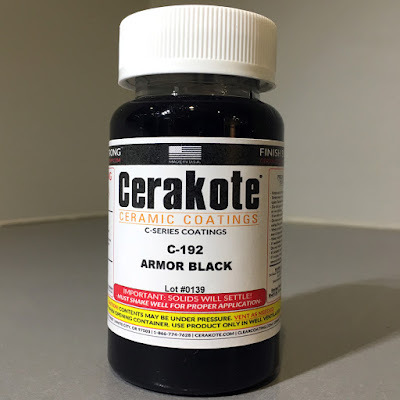 Cerakote® Ceramic Firearm Coatings, manufacturer of the world’s strongest firearm finish. 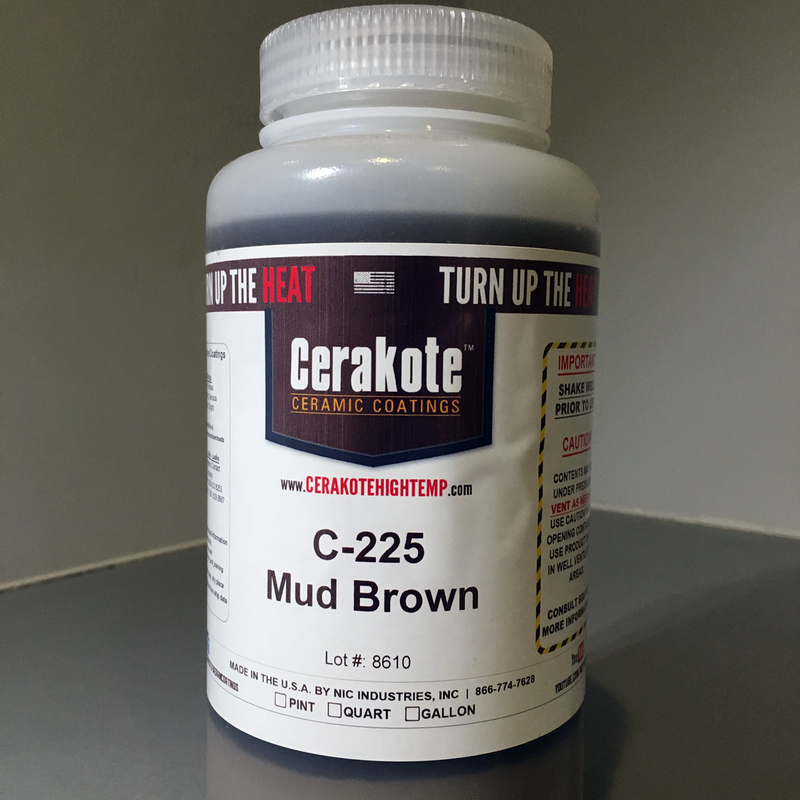 Cerakote® Ceramic High Temperature Coatings, manufacturer of the world’s leading high temperature exhaust coatings. Cerakote® Clear Coating, manufacturer of the World's Strongest Clear Coat™. 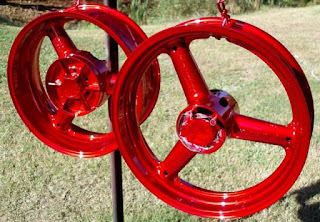 Prismatic Powders®, the world’s largest selection of custom powder coating colors. Cerakote™ was founded in 1984 with a focus on developing and manufacturing the highest performing line of ceramic coatings available anywhere in the world. 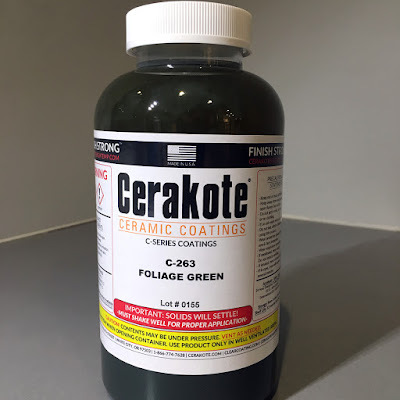 To date Cerakote™ has developed over 70 ceramic colors and finishes and is used by more firearm manufacturers than any other firearm coating; 6500 custom powder coating finishes, making Prismatic Powders the world’s largest custom powder coating manufacturer. After receiving the scanned image, I understood the issue. 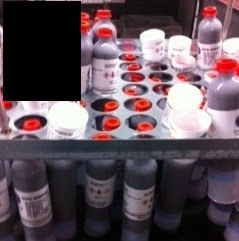 Large blocks of black can be extremely difficult to print with on-demand color label printers. The black prints mottled (spots or smears of color) as best as I can describe it. Black is the most difficult color in my experience. To move forward, I requested Jeremiah send me their BarTender file. NIC uses BarTender to add variable data (i.e. Lot Number in the above instance) to a background image created in Illustrator. Their labels look fantastic. Once I received the labels, I printed them with the C7500 on 4” x 6” gloss paper; and they printed great! I told Jeremiah, “With the C7500, ink costs would be about 50% less; maybe more. Plus the C7500 is much more reliable and durable as well as faster. Much faster. Watch me print 100 4” x 6” labels in one minute". For the tests, I used our standard gloss paper. 4" x 6" Gloss Paper Labels. 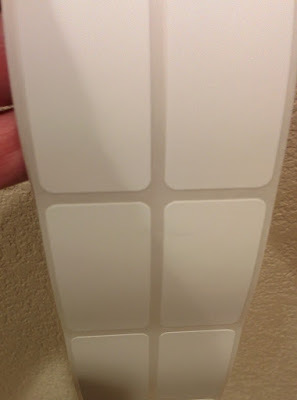 Based on the discussion with Jeremiah, I calculated NIC was paying over $0.10/label for labels for the LX2000. At this price, we could save them substantial money on labels. Plus, NIC could use 8” OD rolls in the C7500 and not the smaller max OD of 6” used in the LX2000. After sending the initial print samples to NIC, we shipped labels for NIC to conduct test prints in the LX2000. In addition, we arranged for a demo C7500 printer for NIC to test; both with matte and gloss paper. 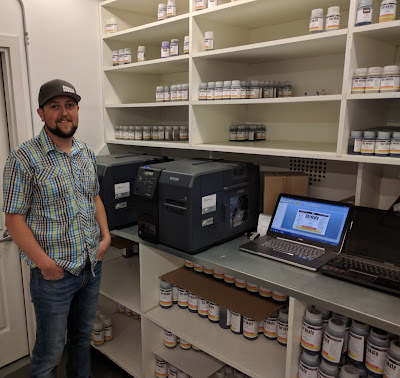 After testing the C7500 on both matte and gloss, NIC decided that the C7500G would be their best option; and purchased two. In addition to the C7500G printers, NIC has upgraded to BarTender 2016; and intend to integrate this label design and printing software into their ERP. “We want to pull the variable information such as lot numbers direct from our systems to reduce any potential labeling errors” says Jeremiah. One aspect of working with great customers like NIC Industries, is that I get to see how companies grow and market their companies. When reviewing the different NIC websites, you’ll see how easy it is to find, purchase and ship the right quantity of a large array of materials. Further, they make it easy to find NIC trained professionals to coat their firearms, aftermarket part, or other items for end users; turning them into works of art. Look at their gallery of what they and their customers have created. The development of outstanding products along with their online presence has made this company based in small town Oregon a world leader. We’re grateful to have NIC Industries as a customer. If you want your labels to match the growth, marketing and “art” of your company, contact Color Label Solutions. 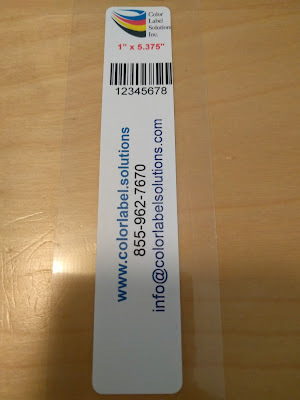 We’ll help you make your labels look great!